Knowing your travel luggage size specifications before you head to the airport can make or break a domestic or international trip, whether you plan on carry on or checked bags. As much fun as it is to be on vacation, getting there can be a real hassle, especially if you are flying. For instance, if you are traveling to a foreign country, you need to determine the size and weight specifications for carry-on luggage, as well as checked baggage. Airlines have very specific regulations as to the size and weight specifications of luggage for international travel, and it is important that you do your research before flying, to make sure your luggage falls within those specifications. Every airline is different, and they all have their own rules and regulations regarding luggage. When it comes to international flights, those regulations are often much stricter than they are for domestic flights, and various countries also enforce their own rules. 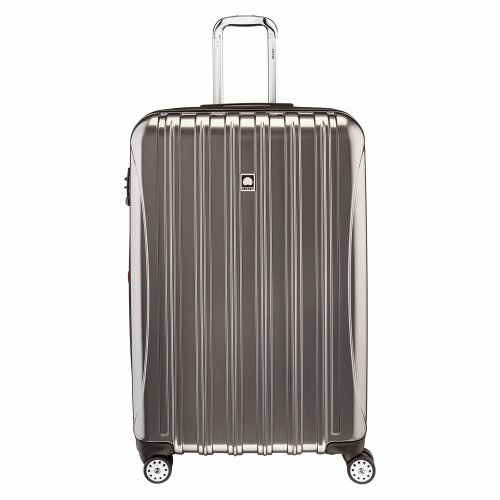 Most of the time, the luggage size specifications are generally in the same ball park for all airlines, with just a few small differences. While there is not enough space in one article to talk about the luggage size specifications for all airlines, we can give you some basic information that will work with most airlines. Carry-on luggage is allowed on all international flights, but the allowed size and weight of the bag depends on each individual airline. For instance, some airlines require the bag weigh 11 pounds or less. 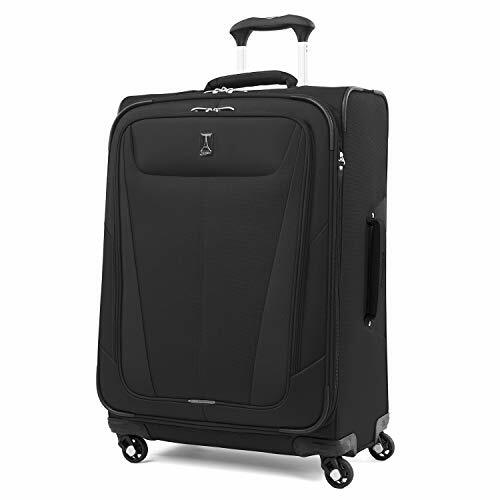 The size specification can also depend on how much room is available for carry-on luggage. Airlines are able to change their carry-on policies for different trips, and sometimes, it happens at the last minute. If you are going to be traveling with carry-on luggage, it is a good idea to ask about the size restriction on the day of the flight, even if you have previously researched this, just to be on the safe side. Generally, a piece of carry-on luggage should be no more than 45 square inches, or about 22” X 14” X 9”. You may be allowed to have a bag that is up to 55 square inches, but there are only a few airlines that will accept bags larger than 45 square inches. 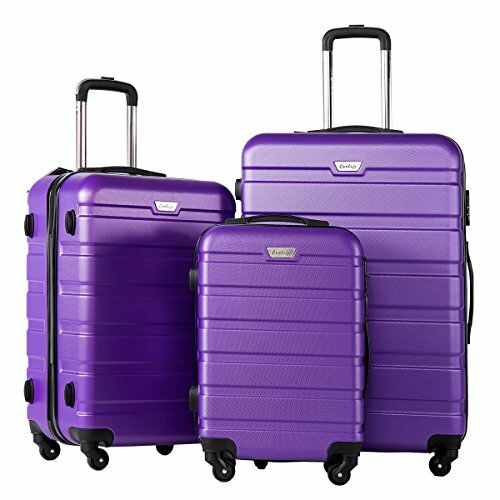 Most luggage stores sell suitcases of the proper size, and they are labeled as carry-on luggage. If your bag is larger, or an unusual shape, you may not be allowed to take it with you on the plane. One of the biggest problems with luggage stores is that they don’t always label a bag as being a carry-on, and when they do, often the bags are not properly measured. They measure for the inside of the bag, without taking the thickness of pockets once they are stuffed full of your items. 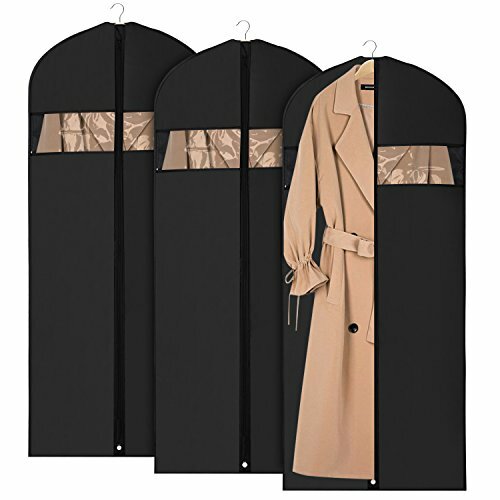 They rate the pockets as having zero thickness instead, and they do not take framing, wheels, or handles into consideration when they are measuring. So, once you are all packed, a bag that you thought was the right size may actually exceed the size limit and will be rejected by the airline. If this happens, you will be required to check the bag, which may be very costly at the airport. 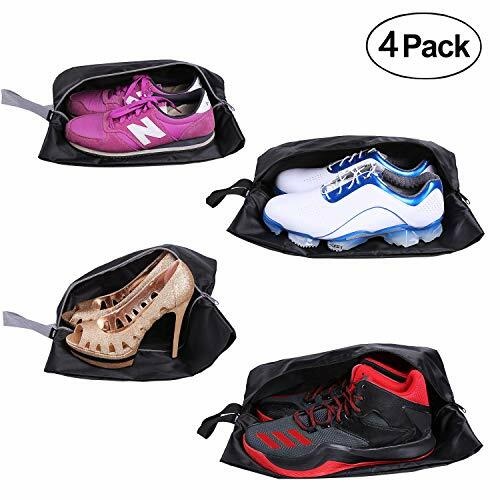 It should also be noted that even if your bag does fit into the size specification set by the airline, it doesn’t necessarily mean that it is going to fit under your seat, and there may not be any space in the overhead compartment. Rather than being stuck holding your bag in your lap for the entire trip, it is simpler just to buy a carry-on bag that is smaller than the specifications, and hope for a wing seat, as there is more under-seat room in these seats. If you are flying domestically, you likely will not have to worry about a weight restriction for your carry-on luggage. But, if you are going to be on an international flight, you might be surprised as to how strict many airlines are about their weight restrictionse. For instance, some airlines only allow carry-on luggage to weigh a maximum of 11 pounds. In some cases, the bag alone may weigh nearly that much, without having anything in it. There are some airlines that even only allow a total of 20 pounds for baggage, and that is carry-on and checked luggage combined. 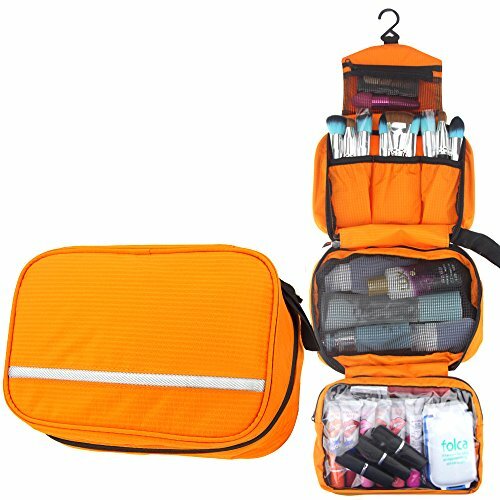 This is something else that you will need to research before you travel, so you will know if you can take your bag on board with you. 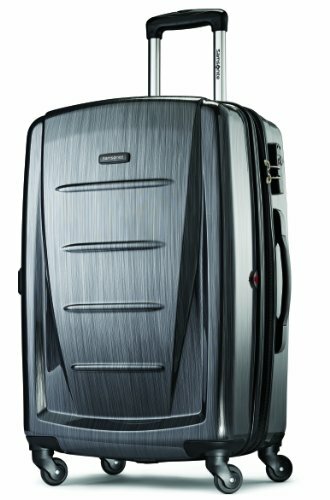 Travel Luggage Size - Carry On Bag Comparison. 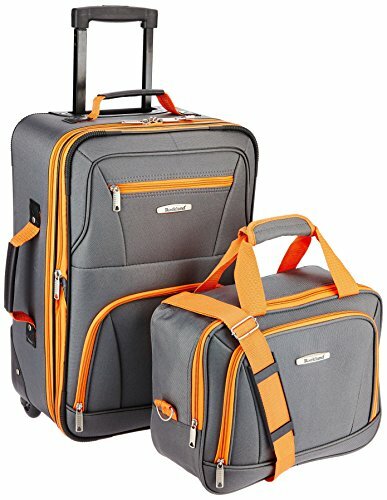 Rockland Melbourne 20 Inch Expandable Carry On - The Rockland Melbourne 20 Inch Expandable Carry On has a huge fan base of devotees, mostly due to it’s 100% ABS construction, 55 color choices, expandable capacity, spinner wheels, sturdy zippers, 5 year warranty, durability and light weight. 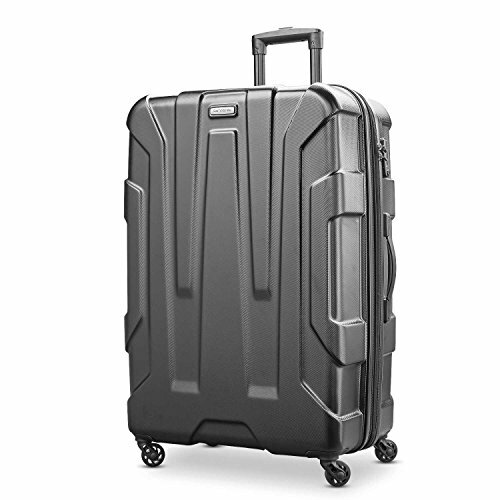 Kenneth Cole Reaction 20 Inch Upright Carry On - The Kenneth Cole Reaction ABS 20-inch Upright Carry On features 95% ABS (hardside) construction, four wheels, two handles, expandability, molded side feet and multiple color choices. 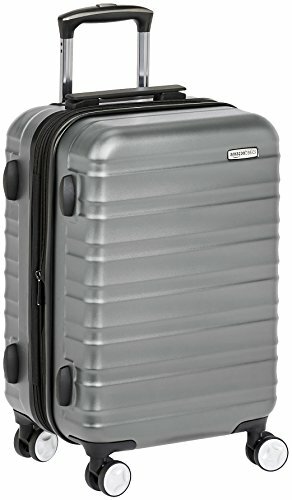 I have been using my own Kenneth Cole Reaction carry on case for 8+ years, both for carry on and checked luggage, and it has stood the test of time around the world several times, having been on at least a dozen different airlines. 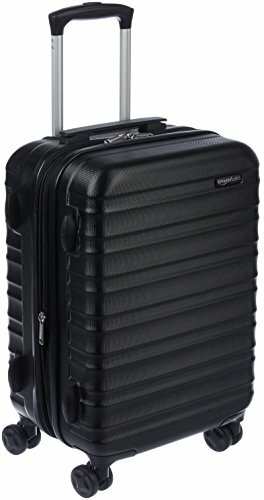 Samsonite Winfield Hardside 20 Inch Luggage - The Samsonite Winfield Hardside 20 Inch Luggage is designed for the frequent flyer, offering a sturdy polycarbonate shell, superior impact absorption, compartmentalized interior, multi-directional wheels and TSA locks. 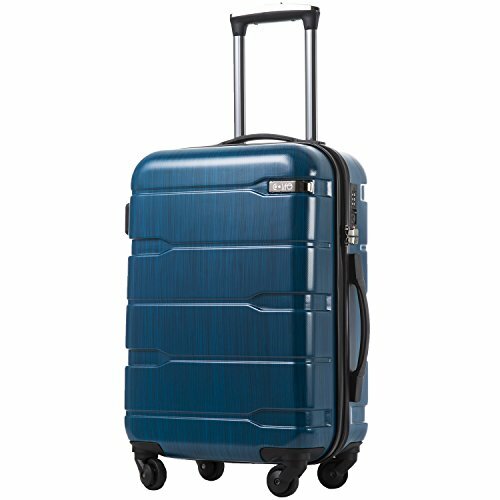 Delsey Luggage Helium Aero International Spinner Luggage - The Delsey Luggage Helium Aero International Spinner Luggage boasts hardside construction, dual packing compartments, an expandable main compartment, multi-directional wheels, a TSA-approved lock and a variety of color choices. See More: Travel Luggage Size Specifications and the complete Airline Luggage Guide. Checked baggage specifications can get a bit confusing, as there are two systems used. If you are going to be on a flight either to or from the US, expect the airline to use a two-piece system that allows two pieces of luggage that weigh up to approximately 70 pounds. You will also need to find out if the weight of your carry-on bag is included in the total allowed luggage weight, as this is a restriction of some airlines. There is also a size restriction for checked luggage. 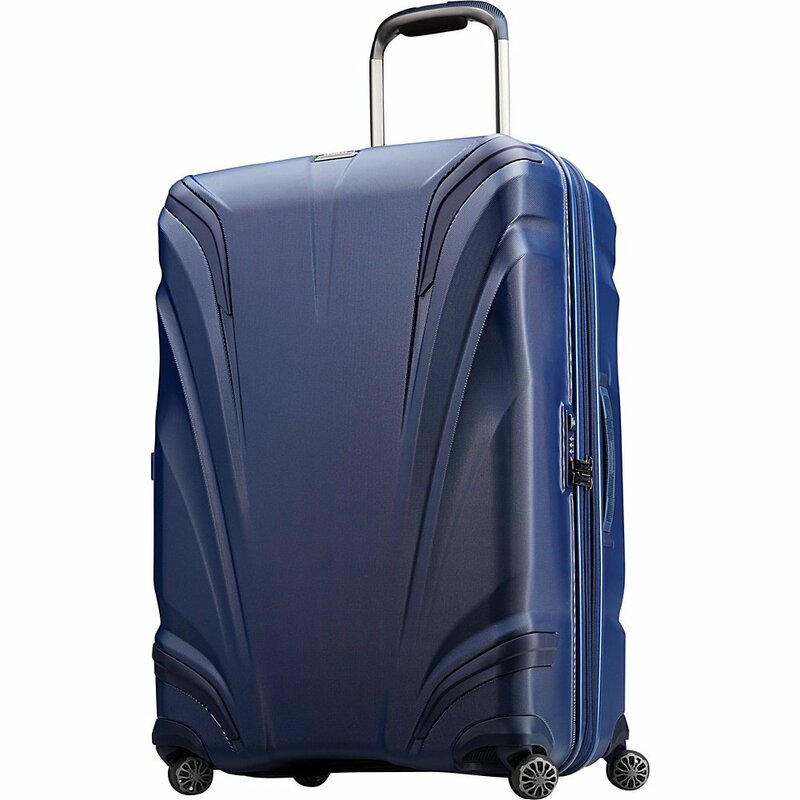 In most cases, the size of a suitcase should not exceed 27” X 21” X 14”. If your bag is oversized or overweight, or if you require additional baggage, you may be allowed, provided you pay an additional fee. If you want to avoid any extra fees, make sure your baggage falls well within the restrictions of the ariline with which you are traveling. As long as you are aware of all of the restrictions about the size and weight of both carry-on and checked luggage for any flights you will be traveling on, things are going to be a lot easier for you at check-in time. It is also a good idea to find out about any restrictions on personal items in your baggage, as some may not be allowed by the airline, or by the countries you plan on traveling to.